Exploring a multitude of musical influences and concepts about contemporary black British music, GAIKA releases his debut album 'Basic Volume' today. 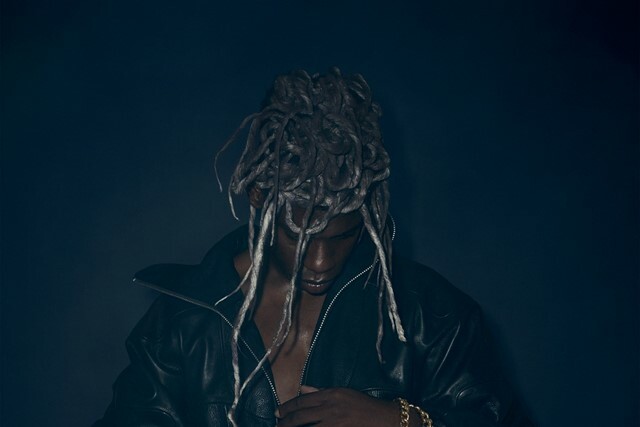 Reflecting on dark, uncertain times with a courageous and gripping LP, GAIKA has received lots of praise in the days leading up to the release, with The Independent praising him for his groundbreaking view on the UK music scene and calling him one of the most provocative and multitalented young artists of his generation. 'Basic Volume' is released via Warp Records and includes production from the likes of SOPHIE, Dre Skull and Jam City. Stream it in full below. GAIKA's performance at Le Guess Who? 2018 is curated by Moor Mother. This curated program also features a.o. Art Ensemble of Chicago, Saul Williams & King Britt, Pan Daijing, RP Boo, 700 Bliss, Maria Chavez, DJ Haram and many more.